Metal or plastic strips with brushes or wipers attached – long-lasting, but cost a little more. 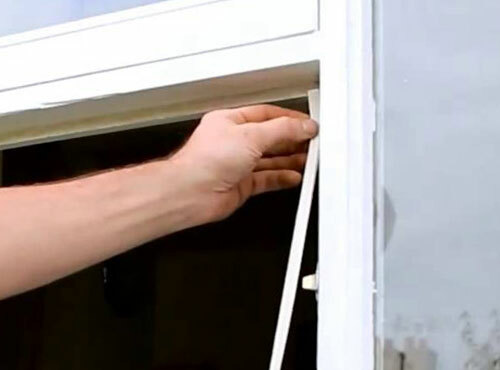 Make sure the strip is the right size to fill the gap in your window. If the strip is too big it will be crushed and you may not be able to close the window. If it’s too small there will still be a gap. Sliding sash windows are notorious for being draughty and foam strips do not work well. It’s best to fit brush strips or consult a professional. For windows that don’t open, use a silicone or foam sealant. 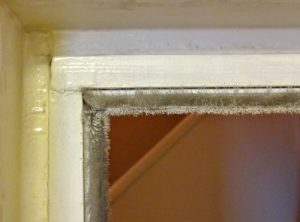 This special type of foam can be sprayed into gaps around windows or doors, however it is more expensive than the foam strips. We recommend you avoid insulating window film – also known as secondary glazing film. You tape this transparent film onto the window to create a double-glazing effect however it stretches and tears easily and you have to replace it regularly. Draughts also occur in cracks between the window frames and the surrounding walls – in this instance use sealant or putty for best results. ​ Draught-proofing outside doors can save a lot of heat and will only cost you a few pounds. Here are the main things to consider. 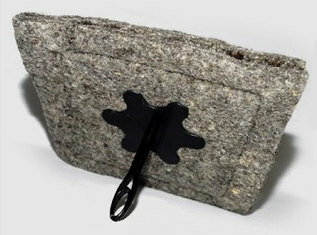 Keyhole – buy a purpose-made cover that drops a metal disc over the keyhole. Letterbox – use a letterbox flap or brush, but remember to measure your letterbox before you buy. Gap at the bottom of the door – use a brush or hinged flap draught excluder. Gaps around the edges – fit foam, brush or wiper strips like those used for windows. Inside doors need draught-proofing if they lead to a room you don’t normally heat, such as your spare room or kitchen. Keep those doors closed to stop the cold air from moving into the rest of the house. 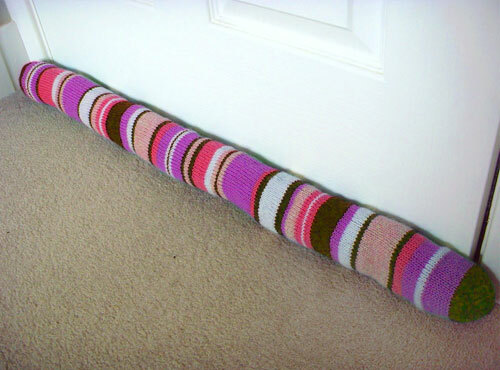 If there is a gap at the bottom of the door, block it with a draught excluder – you can make one stuffed with used plastic bags, rice or bits of spare material. However, as a draught excluder isn’t fixed to the door, depending on where it lands when you close the door behind you, it may let in draughts when you’re out. Inside doors between two heated rooms don’t need draught-proofing, as you don’t lose energy when warm air circulates. 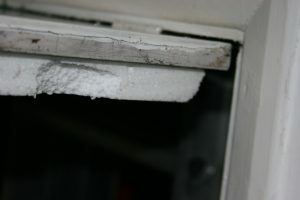 Put strips of draught-excluding material around the hatch edges, and attach insulation material such as polystyrene to the upper surface of the hatch to increase insulation. ​Use sealants to fill gaps around the fittings. Fillers come in different colours and for both indoor and outdoor use. They block gaps permanently so be careful when you apply them – wipe off any excess with a damp cloth before it dries. Fillers may break down over time, but can easily be reapplied. Also check if there are draughts between the skirting board and the floor and seal as necessary. Ideally you should insulate the void under the floor. 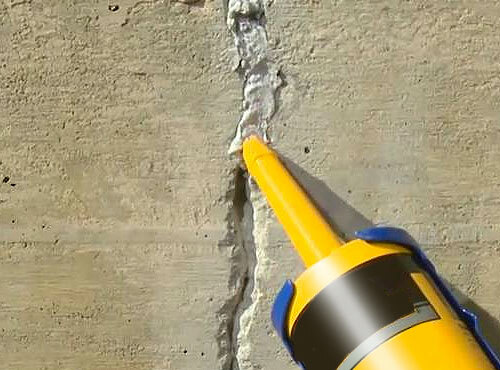 Squirting flexible wall filler into crack. You can fill in cracks using cements or hard-setting fillers, but if it’s a large crack there may be something wrong with your wall. Consult a surveyor or builder to see what caused the crack in the first place. ​ You can fill small gaps around pipework leading to a loft or the outside with silicone fillers, similar to the fillers used for skirting boards and floorboards. Fill larger gaps with expanding polyurethane foam. This is sprayed into the gap, expands as it dries, and sets hard. Buy a chimney draught excluder – devices that help stop draughts and heat loss up the chimney, usually fitted within the chimney or around the fireplace. Remember to remove the draught-proofing if you decide to light a fire! Chimney draft excluder – remove it if you light a fire! 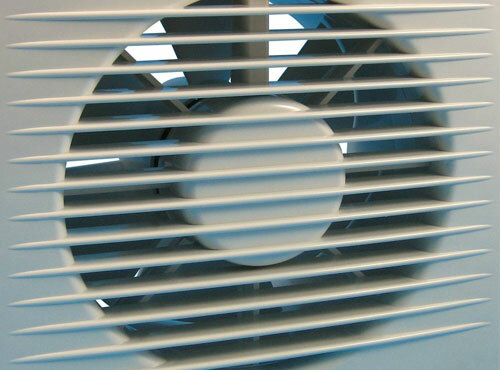 Old fan outlets may need to be filled with bricks or concrete blocks and sealed from both the inside and outside. Disused vents may be left behind after gas fires and old central heating boilers, with non-balanced flues, are removed. These should be sealed up, perhaps with an adjustable vent cover, or you can fill them with expanding polyurethane foam. Areas where there are open fires or open flues. For example, where brickwork needs re-pointing – add new or top-up mortar between the bricks. Extractor fans – they take out damp air quickly in rooms where lots of moisture is produced (kitchens, bathrooms and utility rooms). Under-floor grilles or air bricks – help keep wooden beams and floors dry. Wall vents – let small amounts of fresh air into rooms. Trickle vents – modern windows often have small vents above them to let fresh air trickle in. Keep good ventilation in areas where there are open fires or flues and in rooms where moisture is produced. Don’t seal kitchen and bathroom windows – this lets out the steam and helps create ventilation. Instead, seal the inner doors to these rooms. Extractor fan for use in kitchen, bathroom or utility room. 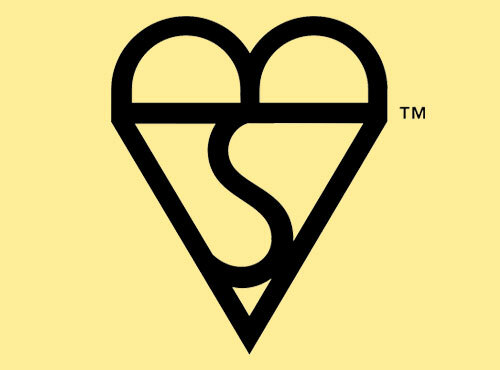 There are plenty of DIY stores that sell draught-proofing materials, but look for draught-proofing with a Kitemark – this shows that the product is made to a good standard. British Standard Institution accredited products have a 20-year life when correctly installed and maintained.